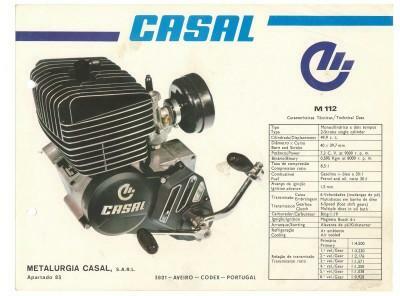 Metalurgia Casal started in 1953, in Aveiro, Portugal, making mostly agricultural engines. 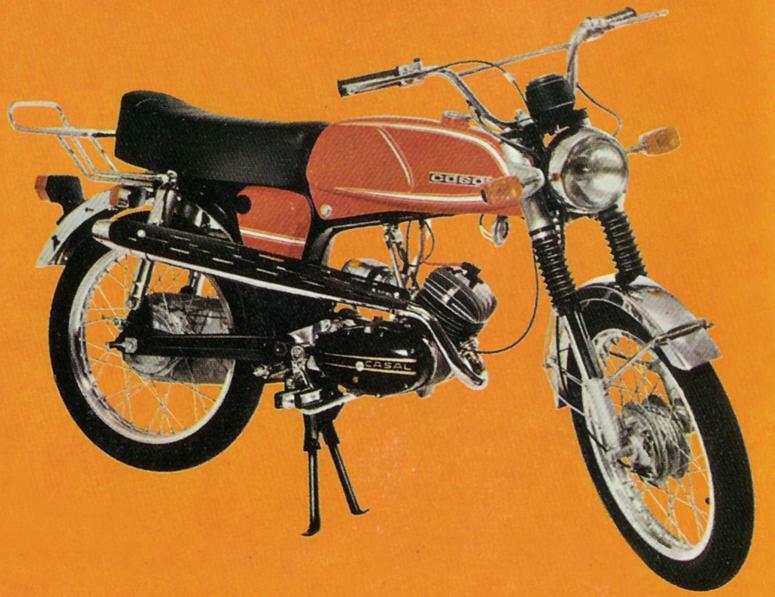 Business leader João Casal met representatives of Zündapp at a trade fair in Hanover in the early 60’s, and then started to build mopeds with Zündapp engines. From 1966-on he made his own engine, the Casal engine, which is a modified copy of the Zündapp, to be built in a many variants. 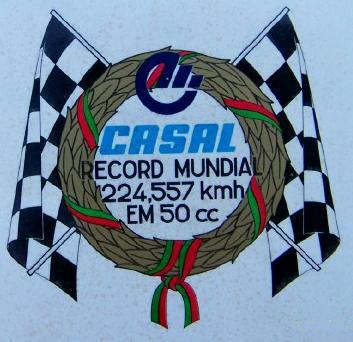 In the 70’s Casal exported their products to UK, US, Netherlands, Denmark, Sweden and others. 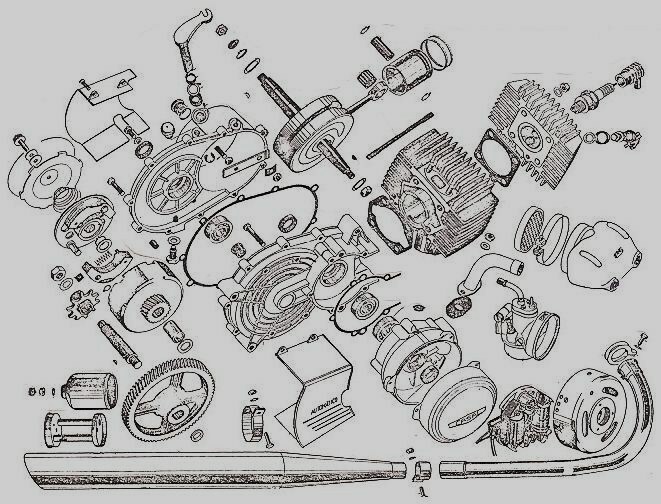 Car production was also planned, but not realised. 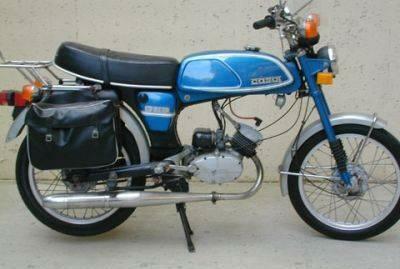 Casal had always done 50cc racing, with the Dutch company HuVo, but in 1980-81 they did some world record setting with Dutch riders. 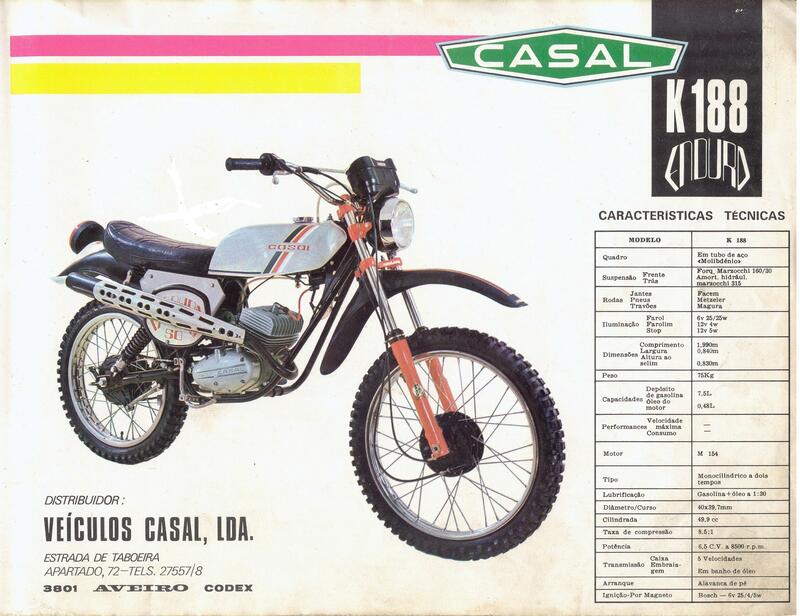 In 1980 Jan Nijhuys took the standing start 50cc 1/4 mile record with a Casal Sparta Plompen, 15.26 seconds. 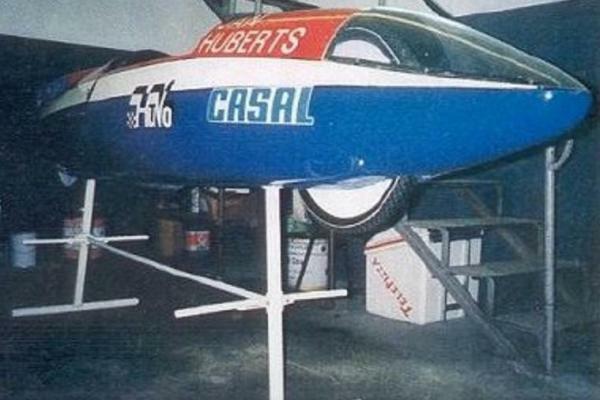 Then in 1981 Jan Huberts rode the HuVo Casal 50cc streamliner to an astounding 224kmh (139mph). 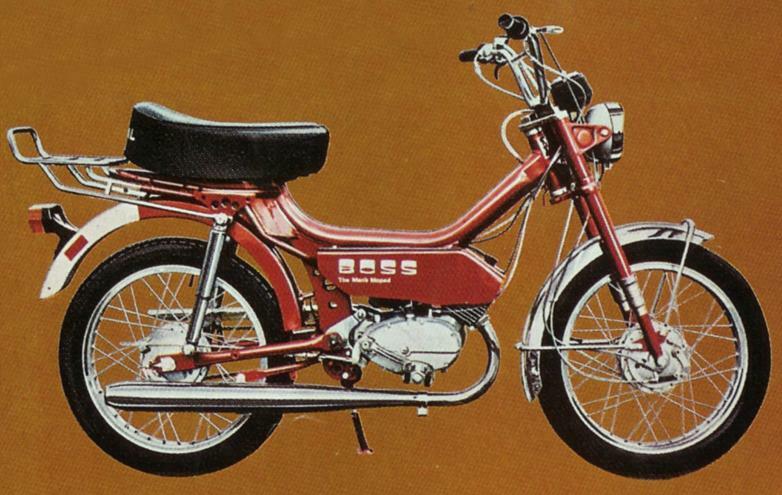 Sadly, as the increased purchasing power in their home country Portugal, their most important market, slowed down the sales of mopeds, bankruptcy was a fact in February 2000. 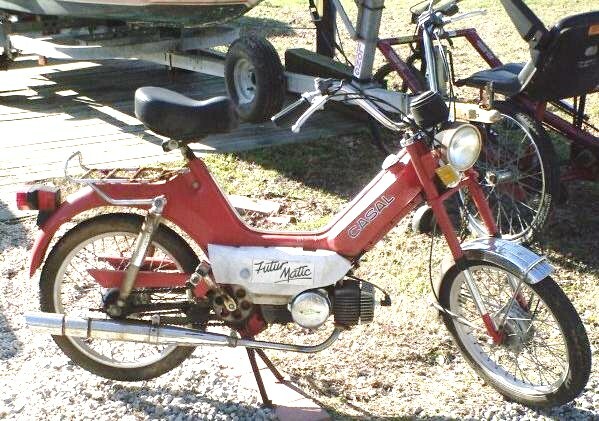 In connection with this, unfortunately, parts of the company’s archives were destroyed. 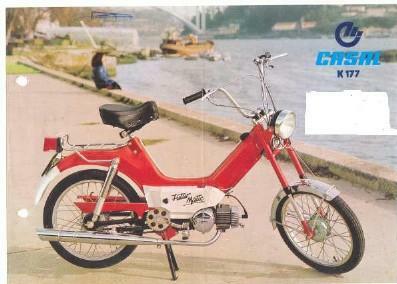 Today it operates as a Suzuki representative in Portugal (adapted from Wikipedia). 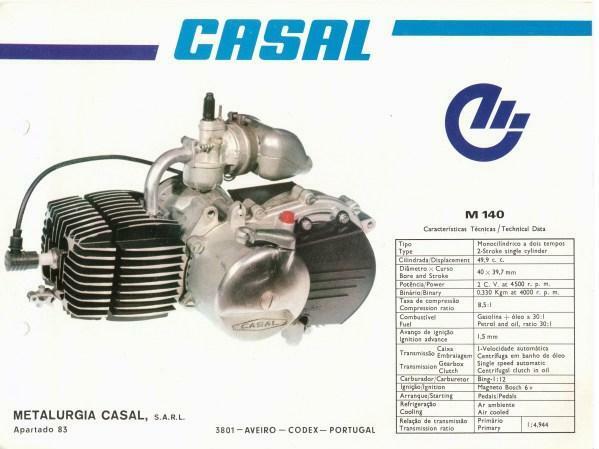 Casal M140 1-speed automatic engine, from a Taiwanese Sprinter owners manual, compacted. 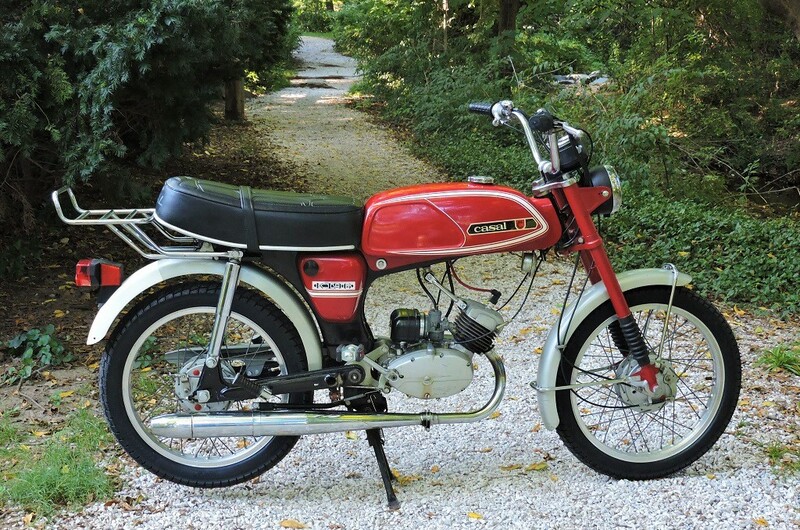 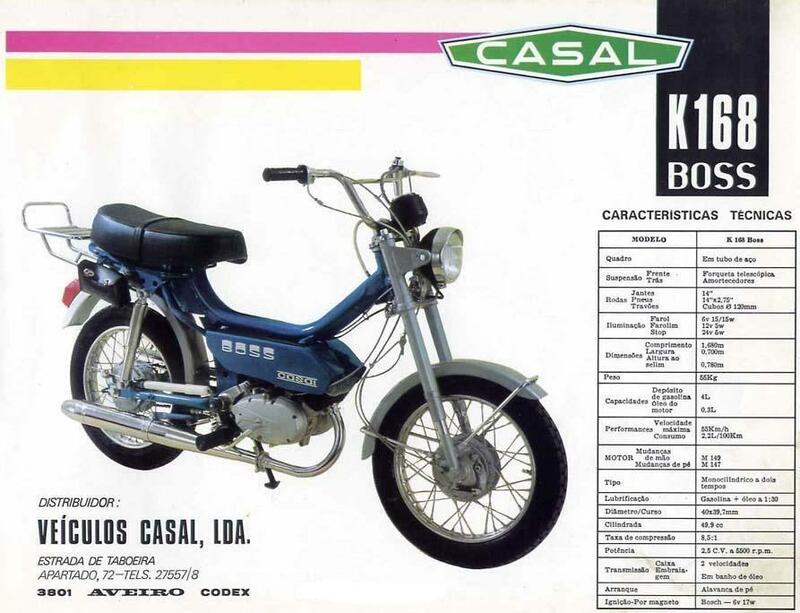 Casal components: (K177 model) Bing 12mm carburetor (bell type), Bosch 80mm magneto, Magura controls/levers, VDO speedometer, Merit switches?, ULO tail light, 68mm brake drums. 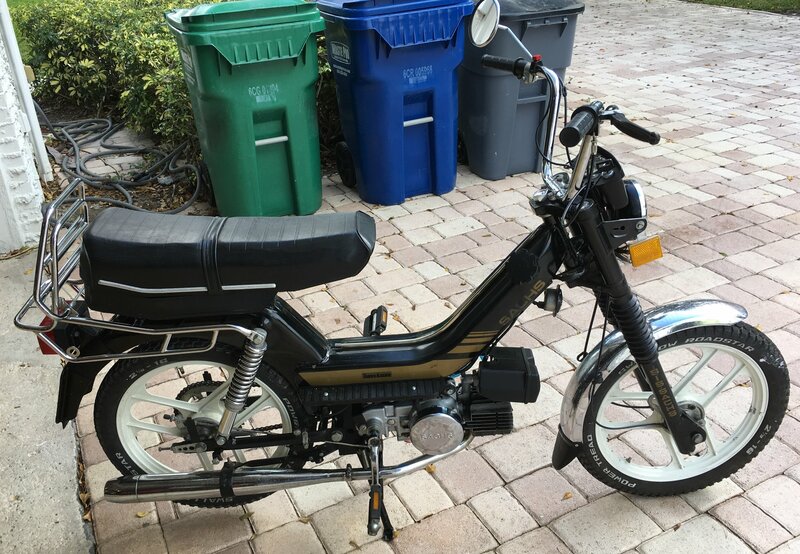 This is a light duty model. 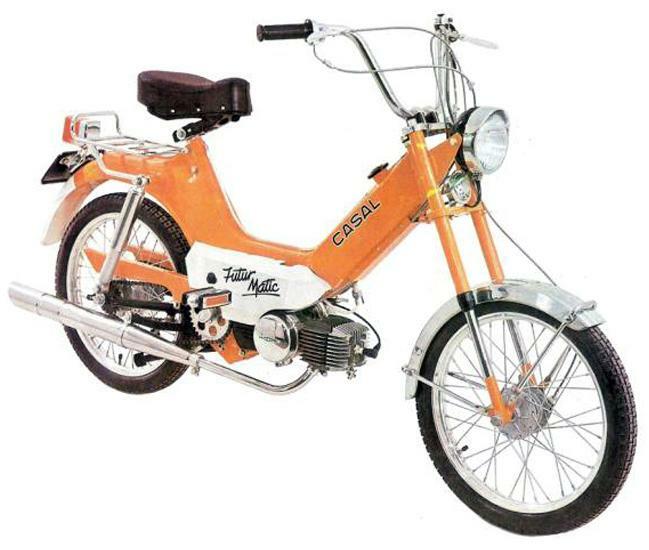 Casal uses the same components as a German moped. 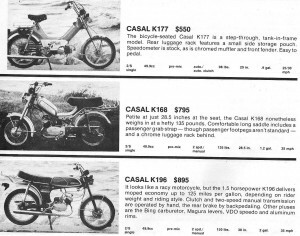 Read why, in Casal’s introduction and history, above. 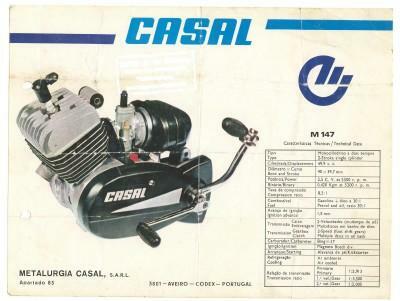 Casal components: (K168 and K196) Bing 17mm carburetor (bell type), Motoplat magneto, Magura controls/levers, VDO speedometer, Merit switches, 120mm brake drums. 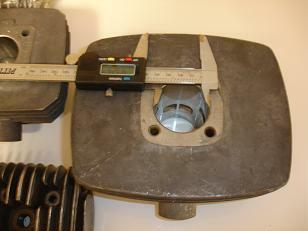 These are heavy duty models. 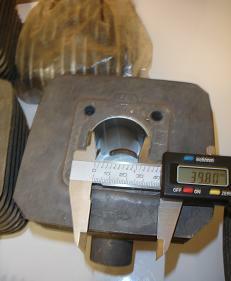 Casal Cylinders and Pistons: Casal pistons and cylinders are made in Germany by Mahle. 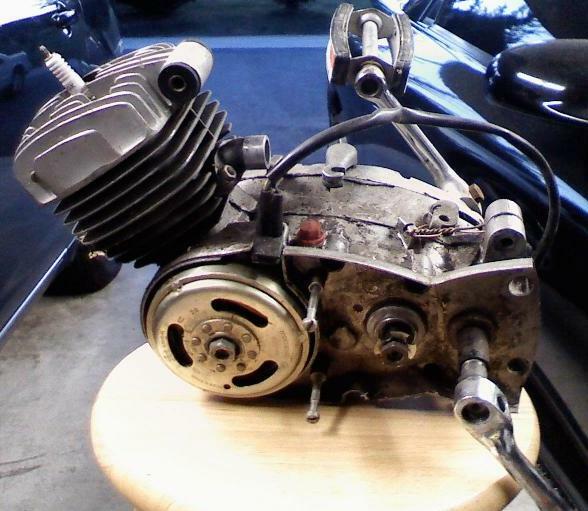 Piston info is found in pistons and rings The “tall crown” Casal piston has the highest pin-to-top distance (23mm) of any of Myron’s 50cc moped pistons (Minnarelli and Sachs are next highest at 22mm). 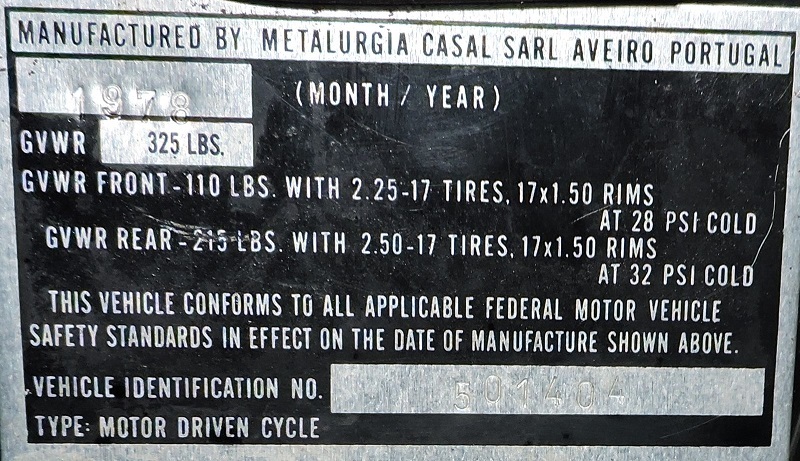 These cylinders are for other Casal models not covered here. 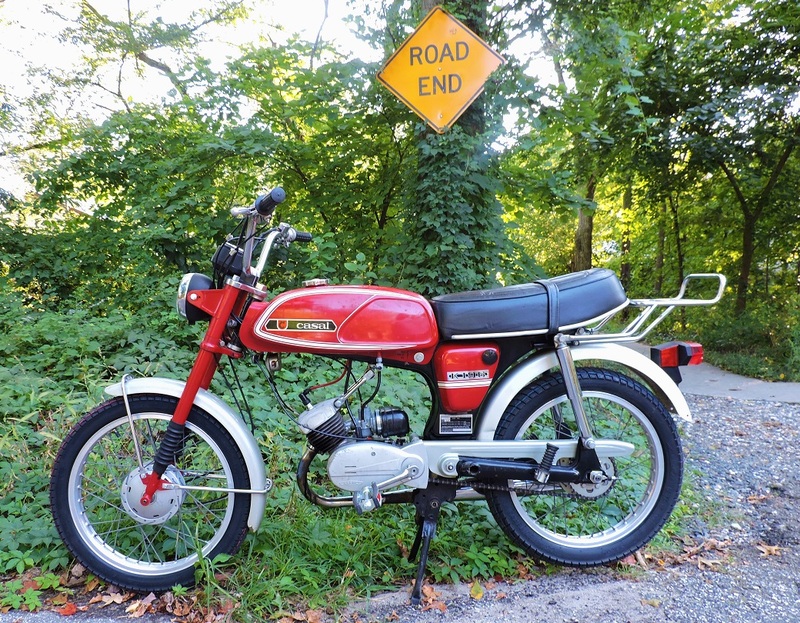 They will be available for purchase from mopedland (link below) sometime soon. 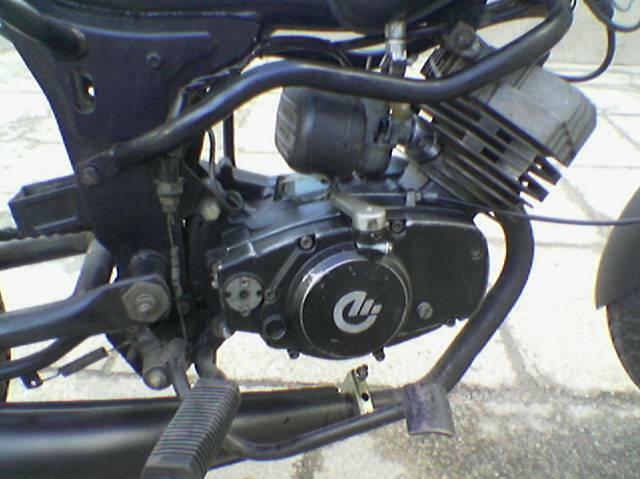 Note that Casal engines are Zundapp copies or compatibles. 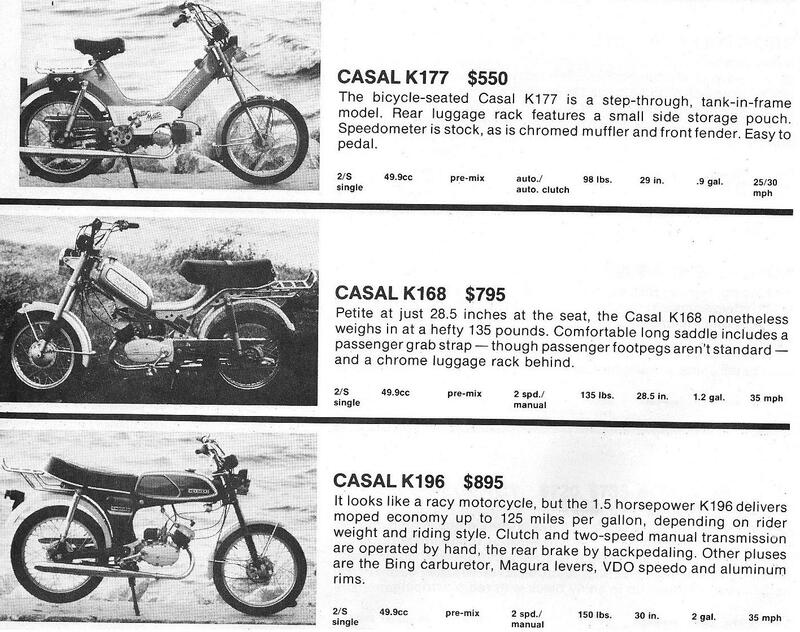 You are currently browsing the archives for the Casal Parts category.